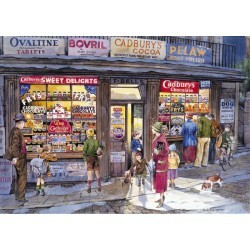 Crowds peer at the delicious treats that the corner shop has to offer as they trudge home in the melting snow. 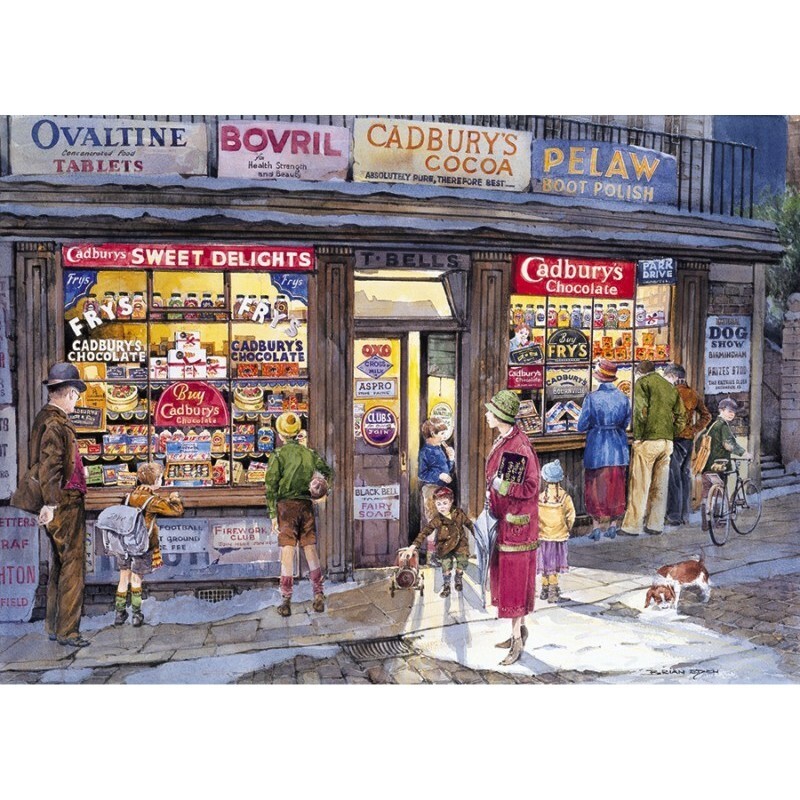 Brian Eden recreates the famous adverts from the past, when children would spend all their pennies on Cadbury’s chocolate and Fry’s Turkish Delight. As with all our puzzles, The Corner Shop is made from the highest quality 100% recycled board and is a joy to handle again and again.